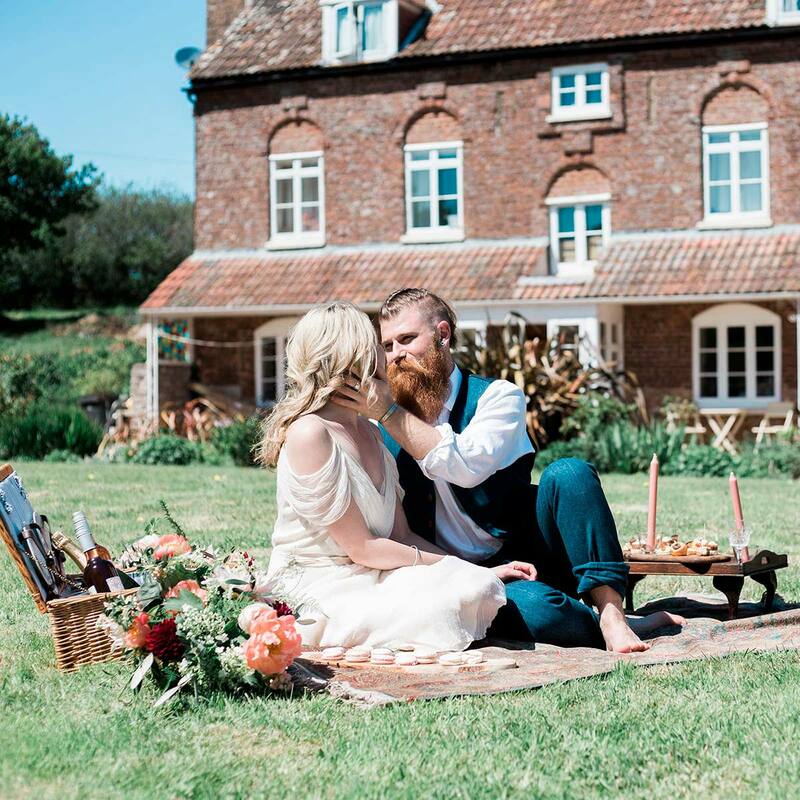 When you get married in our intimate wedding venue, you’ll take your vows in the exquisite thatched Round House, restored to provide a flexible space that’s equally good for 4 of you or up to 50 guests in total. On your intimate wedding ceremony day, this beautiful space will be exclusively yours for half a day. Plenty of time to enjoy photography in and around the Round House and terrace, taking in the beautiful views whilst sipping champagne and sampling the amazing canapés supplied by a local Michelin restaurant. Intimate wedding package prices start from £550 plus £30 per person for champagne and canapés. 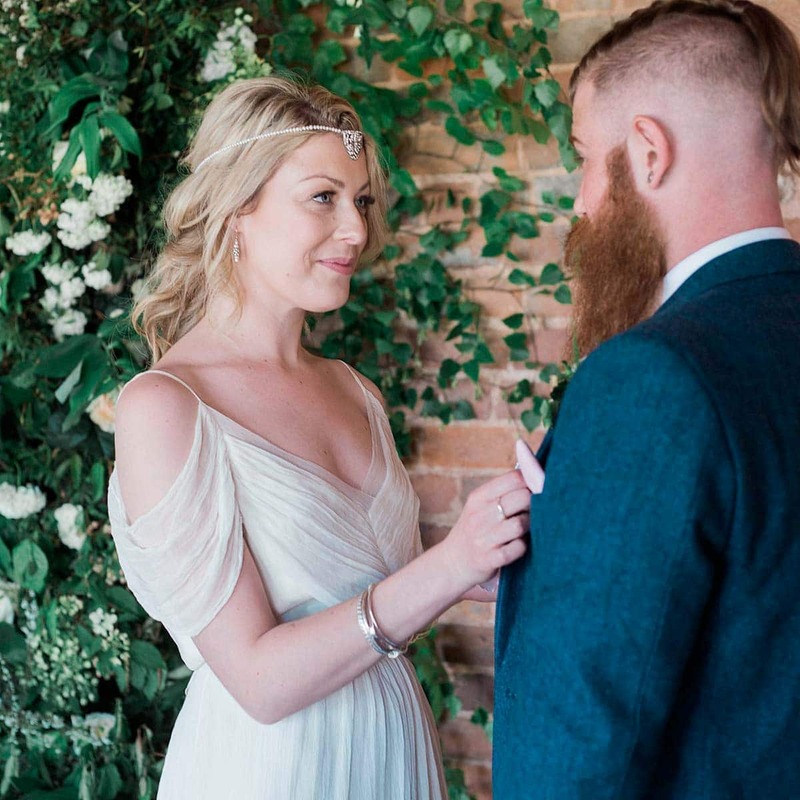 Your intimate wedding at Brickhouse Vineyard will start at your chosen accommodation close-by – perhaps with each of you staying in separate hideouts with your closest wedding day supporters. Treat yourself and book a stylist to help with hair and make up to create the perfect look. On arrival, Joanna and the team will usher your guests through to the Round House and will be in hand to welcome you too. The Registrar always like to catch up with you ahead of your ceremony, and then you are ready to make your big entrance to the Round House through the bridal walk. Your guests will witness your ceremony, then raise a toast to you both to celebrate your marriage. We’ll serve canapés whilst you and your guests enjoy the stunning views. This is the perfect time for some more relaxed photography of your and your guests in this unique setting, capturing memories to last a lifetime.